Brian of Apologetics315 continues to dish out the best apologetics audio resources around. Recently, Brian featured a lecture given by a former Buddhist who evaluates Buddhism. 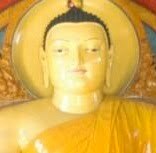 "Ex-Zen Buddhist Ellis Potter gives this talk evaluating Buddhism. (Hear an interview with him here, and another MP3 evaluating Eastern Religions here.) This talk explores the concepts of monism, dualism, trinitarianism, and the concept of unity and diversity. A number of other Ellis Potter lectures can be found here. Original audio hosted at Christian Heritage." The full MP3 audio can be found here. Thoughts to Ponder: Is Intelligent Design Science? This post is the third in a series where I ask you the reader to respond to a video, article, or quote in the comments. Then, share whether or not you think ID is indeed science or not. Please be sure to share the reasons for your conclusion. I appreciate and look forward to your participation! Brian over at Apologetics315 has recently posted some interesting looking audio from John Piper on Why We Believe the Bible. Notes can be found here. A common claim repeated by Darwinists is that the terms- 1) micro-evolution- the genetic changes within and among populations 2) macro-evolution- the evolution of biological categories above the level of species- were simply created by creationists and have no meaning outside of creationism. So, we can safely conclude that the terms ‘macro’ and ‘micro’ evolution were not made up by creationists. Admittedly, the terms have been used and abused by those on both sides of the debate; however, this only serves to remind one that in any discussion regarding the term evolution, it is imperative that one clarifies his or her terms. 1. Jonathan Wells, The Politically Incorrect Guide to Darwinism and Intelligent Design, p. 55-56. 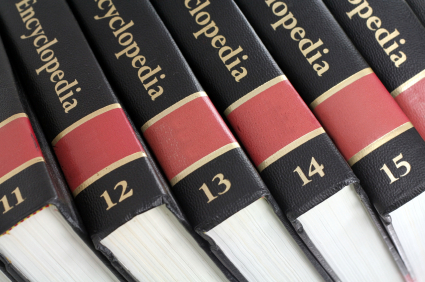 "Human DNA contains more organized information than the Encyclopedia Britannica. If the full text of the encyclopedia were to arrive in computer code from outer space, most people would regard this as proof of the existence of extraterrestrial intelligence. But when seen in nature, it is explained as the workings of random forces." 1. George Sim Johnson, "Did Darwin Get it Right?" The Wall Street Journal (October 15, 1999). 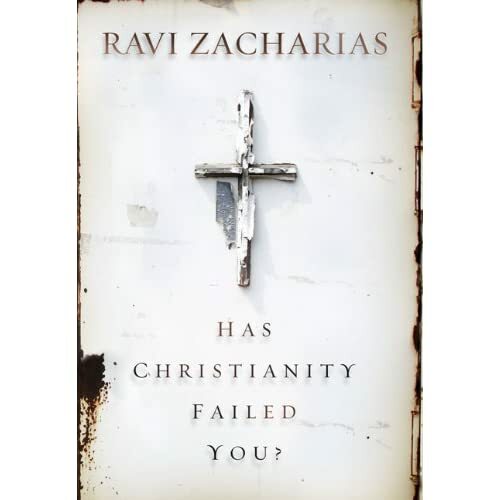 Dr. Ravi Zacharias has recently released a new book entitled Has Christianity Failed You? "Is Christianity not what you thought it was? Have you stumbled and fallen in your faith? Do you have intellectual questions that are unanswered? Have you been affected by hypocrisy in the church? Are you swayed by the challenges to the Holy Scriptures? Has science tested your Christian belief? Has Christianity Failed You? was written for those who have struggled to understand their belief and faith in Jesus Christ. Ravi explores the hard questions about what it means to be a follower of Jesus Christ and those who feel betrayed both intellectually and spiritually. In his landmark new book, he addresses the struggle he hears from both skeptics and Christians: Has Christianity failed us? And can irrefutable charges be brought against it by skeptics and disappointed believers alike?" Watch a preview of the book here. If you have struggled with belief in the past or have even walk away from God, I encourage you to give Dr. Zacharias a fair hearing. He is a gifted speaker who really cuts to the heart of issues such as these. The harvest is plentiful, but the workers are few. Therefore, I will pray that the Lord of the harvest will send out workers into His harvest. Do you not say, "Four months more and then comes the harvest?" Behold, I say to you, lift up your eyes and look at the fields, for they are white for harvest. Even now the reaper draws his wages, and gathers fruit for eternal life, that he who sows and he who reaps may rejoice together. Please give me eyes for the harvest and a heart for evangelism so that I will long to see the people I love come into a saving relationship with You through the merits and grace of Your Son, Jesus Christ. May I be involved in the harvest as a worker who prepares the soil, plants the seed of Your word, cultivates the soil, and waits for Your harvest. For those of you who live on the West Coast, you may be interested in the forthcoming Bayside Apologetics Conference taking place on August 27th and 28th at Bayside Church in Roseville, CA. Featured Biola University speakers will be Dr. J.P. Moreland and Dr. William Lane Craig. For more information on the event see here or here. Many thanks to "Apologetics Guy" Mikel Del Rosario for the heads-up about this event! ***Update (Added 8-21-10) from Mikel at "Apologetics Guy" found here. 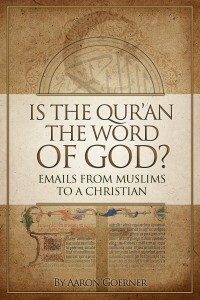 Pastor Aaron Goerner's blog and e-book, Is the Qur'an the Word of God, provides excellent resources for witnessing to Muslims. You can checkout Pastor Goerner's blog here. For more information on his e-book, see here. I have also added this resource to our Apologetics Arsenal located here. In this video, Greg Koukl answers the question, "How do you get into Apologetics Ministry?" You can also check out other Koukl videos dealing with the problem of evil, the person and teachings of Jesus, faith vs. free will, and more here. Resource: Got Questions?- The Bible has Answers, We'll Find Them for You! gotquestions.org is a great site that offers answers to 231, 134 Bible questions and the list continues to grow! Further, you are now able to order the Got Questions? book by by S. Michael Houdmann, General Editor. The book includes a Scripture index and topical index. I encourage you to visit gotquestions.org for thousands of answers to some of your toughest bible questions. Do You Desire to KNOW if Jesus' Teaching Comes from God? “If anyone's will is to do God's will, he will know whether the teaching is from God or whether I am speaking on my own authority" [John 7:17, ESV; Emphasis mine]. To find out what it truly means to follow Jesus, see here. In this featured article, Rich Deem explains why deism ultimately fails to answer a number of the "big questions" of our existence. For more great resources from Rich Deem, see here. In this featured article, apologist Greg Koukl explains why Christianity's history, although many times characterized as "blood-thirsty," actually has "a legacy of radical transformation for good." Visit Stand to Reason for more great resources from Greg Koukl and company. What is God's ultimate answer to suffering? Or perhaps the question should be, "Who is God's ultimate answer to suffering?" Apologist Peter Kreeft explains in this article. For more of Kreeft's work, see here.